​The UKBJJA is delighted to present the 2019 UKBJJA International Open Tournament of Brazilian Jiu Jitsu (BJJ), held on 6 October 2019 at the National Indoor Athletics Centre in Cardiff, Wales. 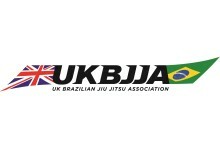 The event is one of the most prestigious and lucrative BJJ tournaments in the UK, with a prize fund totalling £20k. On March 16, close to 100 junior athletes from across the country gathered at the Sport Wales National Centre in Cardiff for the first UKBJJA Junior Development Day. The event was free to UKBJJA members and was designed to give kids from different teams, backgrounds and regions chance to develop their Jiu Jitsu in a friendly and co-operative environment. To commemorate International Women's Day 2019, the United Kingdom Brazilian Jiu Jitsu Association (UKBJJA) is launching a major social media campaign to get more women active in Brazilian Jiu Jitsu (BJJ). A motion lodged in the Scottish Parliament by Clare Adamson MSP has praised the United Kingdom Brazilian Jiu Jitsu Association (UKBJJA) for its 1st International Open Tournament held in Motherwell on 16 December 2018. ​On 16 December 2018, Ravenscraig Regional Sports Facility in Motherwell hosted some of the best Brazilian Jiu Jitsu (BJJ) competitors in the world at the 1st UKBJJA International Open Tournament. Ticket sales and a generous donation of prize money by Black Belt Masters gold medallist and UKBJJA Chairman Richard Martin, meant that the event raised £882 for Cash4Kids Mission Christmas. 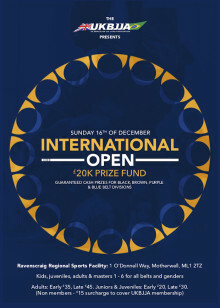 On 16 December, 2018 the town of Motherwell will play host to some of the best Brazilian Jiu Jitsu (BJJ) competitors in the world at the 1st UKBJJA International Open Tournament. Held at Ravenscraig Regional Sports Facility the event is the most prestigious BJJ event ever to be held in Scotland, with a total prize fund of £20,000. The United Kingdom Brazilian Jiu Jitsu Association (UKBJJA) is proud to announce that Tatami Fightwear will be sponsoring the first UKBJJA International Open Brazilian Jiu Jitsu Tournament to be held in Motherwell, Scotland on 16 December, 2018. 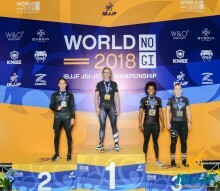 A report on the IBJJF World Masters Championships By Jolie Boyle, UKBJJA Women’s Officer This year made history in women’s Brazilian Jiu Jitsu. 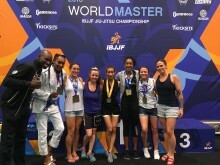 Following a successful petition to get the International Brazilian Jiu Jitsu Federation to add Master 2-7 age categories to the World Masters competition in Nevada, a team of UK women athletes flew out and competed with huge success. The first UKBJJA International Open Brazilian Jiu Jitsu Tournament will take place on 16 December at Ravenscraig Regional Sports Facility in Motherwell, Scotland. The tournament features a minimum guaranteed prize fund of £20,000 with top prizes of £2000 going to the winners of the black belt divisions (male and female). British women athletes have brought home a stunning haul of six medals, including three golds from the World IBJJF Jiu Jitsu Championship. The World IBJJF Jiu Jitsu Championship is the largest and most prestigious Brazilian Jiu Jitsu (BJJ) competition in the world, attracting nearly 4,000 competitors from around the globe. It was held in Long Beach, California from 31 May to 3 June, 2018. 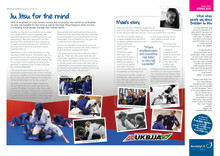 ​A great article on Brazilian Jiu Jitsu in the March 2018 issue of Anxious Times Magazine, published by Anxiety UK. Probably everybody who trains in BJJ can see and feel the physical benefits. The positive effects on mental health can be harder to quantify, but are just as real. The UKBJJA is sponsoring six promising athletes to take on some of the best Brazilian Jiu Jitsu competitors in the world at the European IBJJF Jiu-Jitsu Championship in Lisbon, Portugal this January. 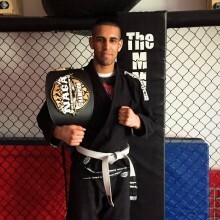 The six were chosen from the number one ranked British athletes in 2017 and are sure to bring home medals from what has become the largest Brazilian Jiu Jitsu tournament outside America. 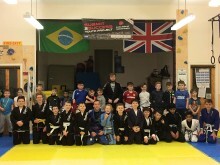 ​A Teesside charity that helps support disadvantaged kids through Brazilian Jiu Jitsu is in the running to win a £5000 prize, courtesy of Middlesbrough & Teesside Philanthropic Foundation.